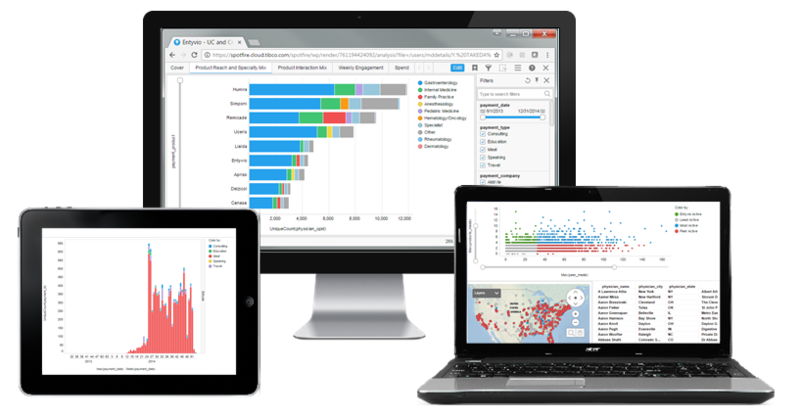 We provide access to curated physician activity data sets, delivered through our secure web-based dashboards. 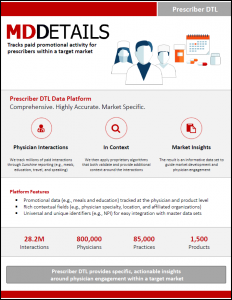 Opinion Leader DTL enables insight into leading investigators and market influencers, while Prescriber DTL provides a comprehensive view of promotional activity and spend within a target market. Both products are carefully designed to integrate seamlessly with industry standard CRM software and master customer data. 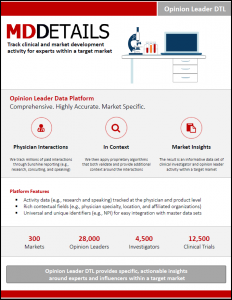 Identify and characterize leading clinical investigators and market experts within a specific disease area. Understand areas of experience/expertise and relationships with marketed products & pipeline agents. Identify the universe of accessible physicians within a specific market. Characterize ongoing promotional efforts among high-value prescribers and benchmark competitor activity over time.